The gems are natural outgrowths from the inside of ancient lava streams, with traces of crystal, agate and amethyst. 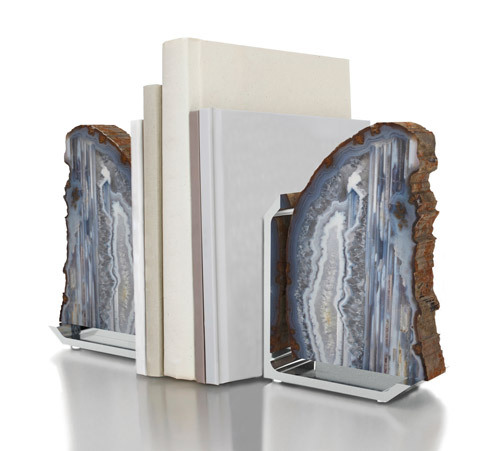 The organic design of their hand-polished bases was inspired by natural patterns in the rock. Paired in twos. Approximately 4" x 4.5" x 4.75"